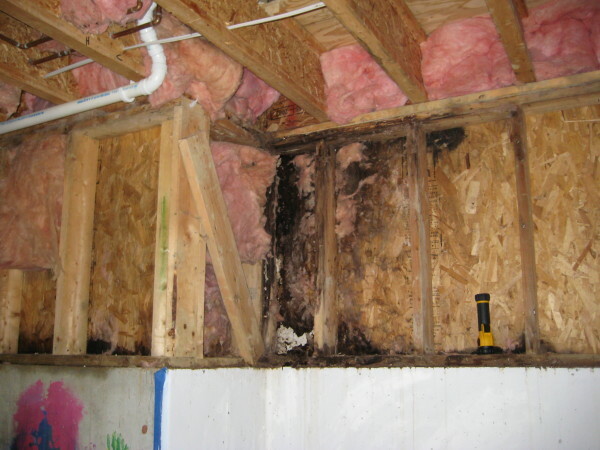 ‘Leaky Homes’ became a huge concern for home owners through the 1990s and 2000s as more and more examples of poorly built homes that leaked to the point where mold and rotting timber endangered health and safety, not to mention the damage to owners’ financial well-bing. There were several reasons for the disaster, the main ones being new, cheaper house designs using production materials such as untreated timber cladding and monolithic cladding that wasn’t installed properly or was improperly maintained, leading to homes that rotted, a housing boom that saw many unskilled builders building. The bad news is that leaky homes are still being built and that defects aren’t restricted to homes that leak. This page deals specifically with ‘Leaky Homes’, the causes and what to watch out for. 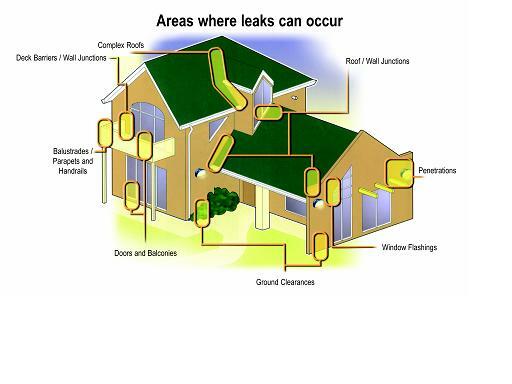 Be aware, all homes leak. It becomes an issue when the water is not dealt with and affects the integrity of the house. Modern designs, materials and construction techniques address many of these issues but there is still risk. The best time to deal with weathertightness is at the design stage where different options can be considered and changes are easily made to the plans. It is important for the designer, builder and owner to look at the risks associated with the proposed building and reduce these to acceptable levels before building. Sometimes materials are used in ways for which they are not specifically designed or are poorly maintained, leading to cracking and leaking. 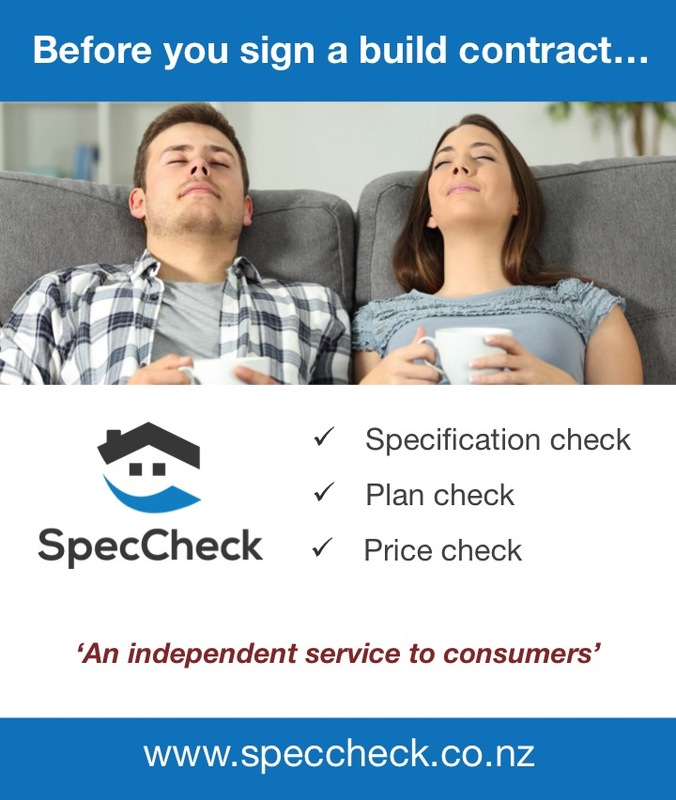 Make sure you are aware of the maintenance requirements of all specified materials for your home –incorrect or lack of maintenance will often mean your product’s warranty becomes void. It is now mandatory for your builder to give you a maintenance shedule. Modern designs can also have insufficient level difference between the floor of a building and the surface outside. An adequate level difference is necessary if the building is to meet the performance requirements of the Building Code in regard to external moisture provisions. You must begin a claim within ten years of the Compliance Certificate being issued. Act sooner rather than later. Decks enclosed by solid walls. These walls usually have a textured finish and a flat top surface (also textured) with a handrail fixed to it. Water cannot drain from the surface and the weather-proofing skin has been penetrated by the fixings or the rail support, making these walls almost impossible to waterproof. It may then take only six months for serious deterioration of wall framing to occur. Wall-cladding materials finished hard down onto a deck surface or paving or paths. By doing this the cladding will absorb water from the surface it is finished onto. Any water that might pass through the cladding is also prevented from draining out at the bottom. It’s even worse if wall cladding materials are taken below the ground level or if landscaping materials, such as mulch, are built up against the wall. 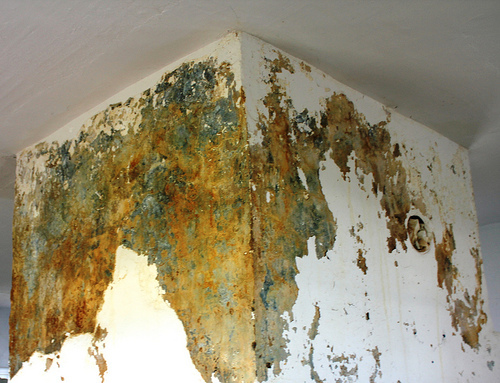 Materials that are continuously damp will deteriorate faster. Waterproof decks constructed with the deck surface close to the same height as the building floor with no provision for the water that will fall onto the surface. Often there is no fall to drain the water away from the building and no overflows. When the outlet blocks, the only place for the water to go is inside the building. Buildings with suspended timber floors require the space below the floor to be ventilated to remove moisture that evaporates from the ground. It is common, particularly in renovation projects, to see vents blocked by decks, paving, planters or soil. 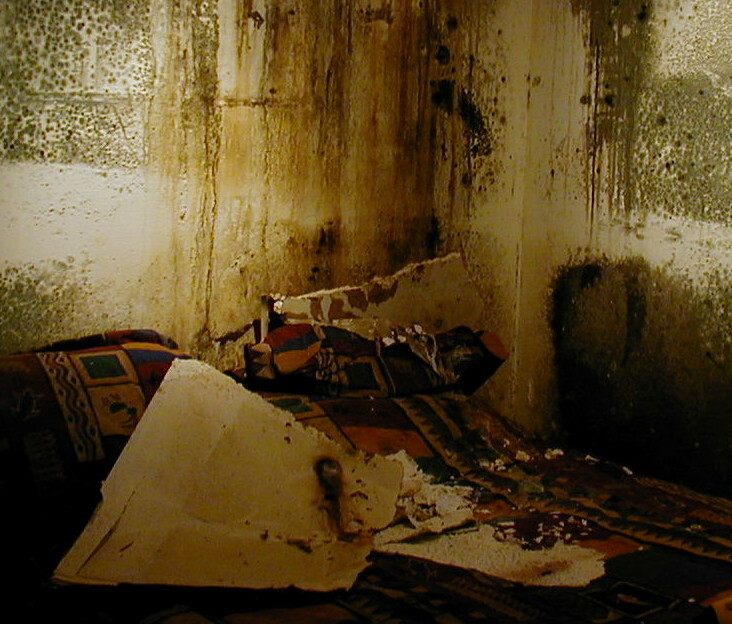 Restricting the ventilation rate significantly increases the risk of dampness and mould within the buildings and also the potential for damp-related deterioration. Following building trends that ignore features known to provide some weather protection, such as eaves and drip edges to the base of claddings and above windows, though be aware that even houses with eaves have been known to leak. 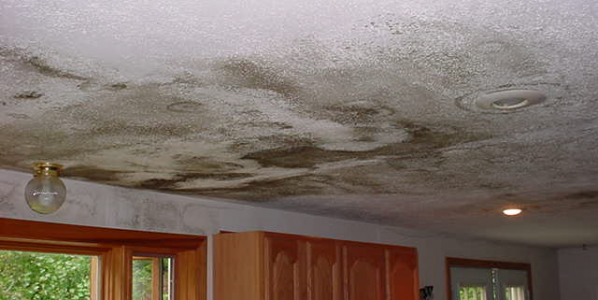 Black spotted mould on inside walls or ceilings (mould may also form on walls and ceilings because of internal moisture). Swollen architraves or MDF skirtings. Stained timber window or door trims. A general feeling of dampness next to doors or below windows. Any signs of lifting or de-lamination. Thin or transparent areas, particularly on exposed corners. Check around the meter box and any pipes penetrating the wall cladding to ensure they are flashed or sleeved. Decorative features must not penetrate the cladding and all fixings should be sealed. Check where fascias and gutters meet a wall surface. The paint finish should be continuous behind the end of the gutter and the roof junction should be flashed. The roof should be checked for build up of debris that could track or hold water. Ensure all flashings are securely fixed and provide a secure overlap to the roofing, especially around penetrations from flues, vents and other services. If in doubt get the advice of a reliable roofing company. Check the clearance of claddings from the roof surfaces and flashings (click here for a glossary of building terms). It should be possible to easily run your hand under the cladding to enable the underside to be re- painted when needed. Ensure that there is a kick-out where a roof ends in a wall surface. Ensure that diverters are correctly fitted. 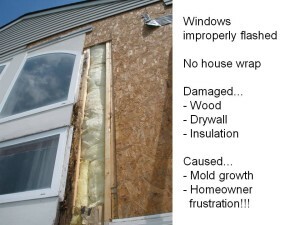 Check for missing flashings, particularly head and sill flashings. If they are fitted they will be visible on the outside. Check the flashings to ensure they slope to the outside to spill water over the window or door-frame. Check at the ends to ensure they will not allow water to flow inwards at their ends. For curved windows check that the flashing has a stop-end to direct water to the exterior and not allow water to enter behind the wall cladding. Check the jambs to ensure they are sealed to the cladding. Check the corners of cladding on recessed windows – particularly check that there are no hairline cracks in the paint finish. Where the texture coating is carried over the balustrade leaks may not be visible. If you are unsure contact a building consultant for advice. The most reliable check is to measure the moisture content of the timber framing. This is best done using a moisture meter with probes through two small holes in an area that is not exposed. 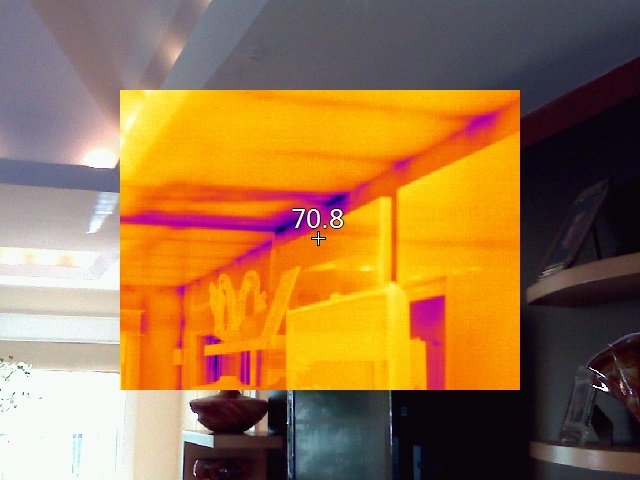 The timber floor structure should also be checked from the underside. Check the clearance of the cladding from the ground. Options may be to lower a built- up garden area or provide paving that falls away from the house, but if this is not possible seek expert help. Check doorways and imagine how any flooding or puddles of rainwater might affect the doorway. Water does not need to flow through the doorway to cause problems, but may flow under the sill. It is possible that water might also enter through splashing. The ground may need to be re-contoured, or in the worst case, doors removed and raised. Ensure there is space between timber decks and cladding. It is important to regularly remove leaves and other debris caught up in the gaps. Waterproof decks should have no areas of lifting membrane. Joints should be tight and there should be no water ponding anywhere on the surface. The membrane should have a positive coving at all edges, including under doors. Check for nicks in the membrane. Paint-on membranes require regular checking and may become punctured even with a protective layer of tiles. Have these membranes checked annually and do not put off re-coating if the membrane is wearing. Make certain all drainage and overflows are clear. The overflow height should be at least 50mm below any floor area, and below any deck coving at walls or doorways. If you have any doubts, seek expert advice. Some decks have been constructed with untreated timber and may become dangerous if moisture has got into the framing.